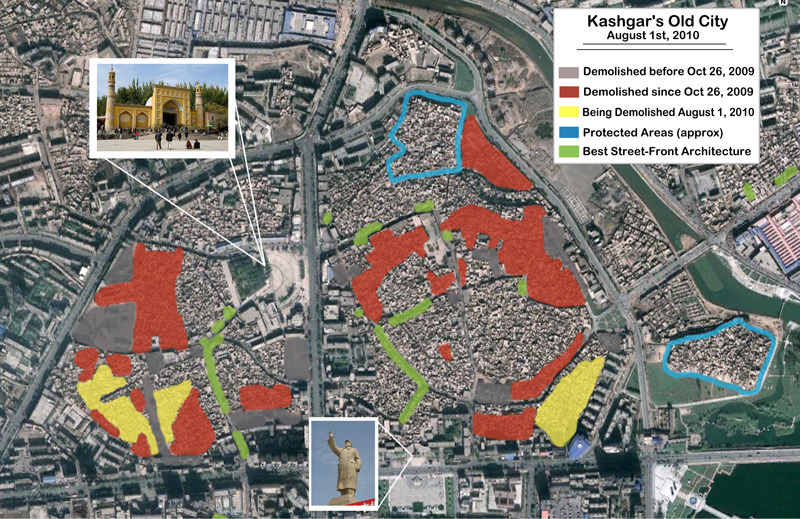 What Remains of Kashgar’s Old City? A favorite destination among tourists and a symbol for infuriated activists, the Old City that has survived multiple centuries is now being demolished. 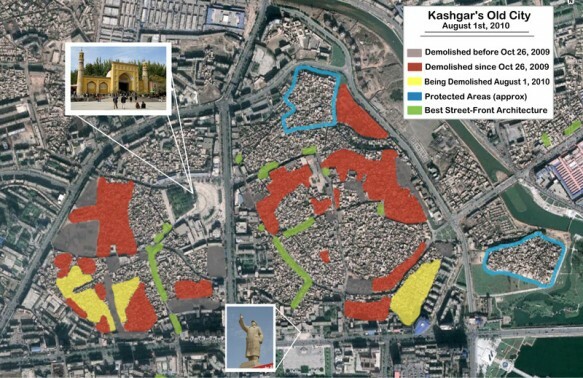 In May of 2009 an article was published on FarWestChina debating the pros and cons of the destruction of Kashgar’s Old City, and an update on the situation is long overdue. Since 2009, reports and pictures have been passed along to me by loyal readers who traveled to the region, but none were as detailed as the one I received last month from a man named Stefan Geens. Using his camera coupled with GPS technology, Geens criss-crossed the alleys of what remains of Kashgar’s Old Town and created this map he has graciously allowed me to reproduce. See a larger version of the image here. Visit Stefen Geens’ site here.